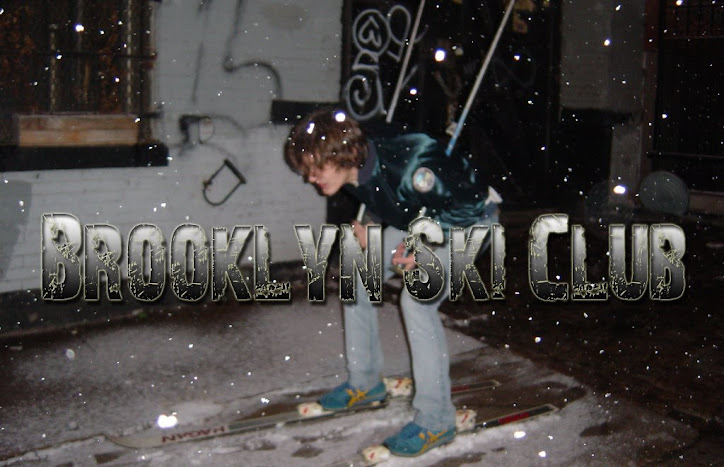 Brooklyn Ski Club: Superman Returns! I just got back from seeing the new Superman movie. I have to say it far exceeded any expectations I had. Wow! What a phenomenal movie. The beauty of Superman Returns is the simplicity to it. They made this movie about Superman and everything that he represents. Unlike other super hero movies, this was not about "modernizing" the character or the story. There were no "updated" costumes, CGI villains, or new characters. Superman Returns is a great movie and will instantly be recognized as such. This sounds cliche but it really gives you a sense of hope - which is what Superman is about. I really can't say enough good things about this movie. There are several moments where Superman is clearly framed in the image of Jesus. I thought that was a bit unnecessary but I can overlook it. The movie clocks in at about 3 hours but you really won't notice the time pass. I looked at the time when I got out and was shocked. I really had no idea that 3 hours had passed. Whoever the hell the guy is who played Superman does an outstanding job. I cannot think of anyone who could have done it better. Spacey is, well, Spacey... which is to say damn good, as always. The rest of the cast did their part but no else one really stood out as far as performance is concerned. So that's all I can say without giving everything away. Go see this movie - you have to, seriously. Brandon Routh was the lead. And I agree, he was amazing. I didn't like how long it seemed and it moved very slowly.